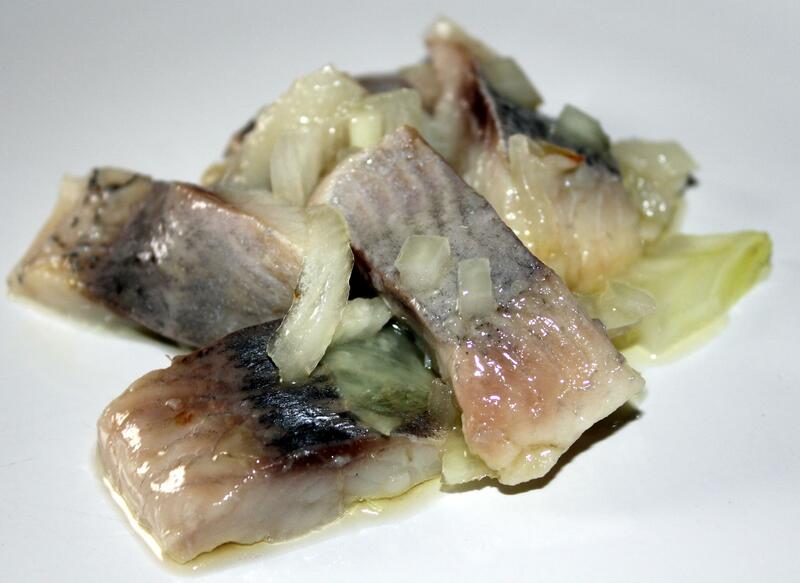 Wash a herring fillets under cold tap water. 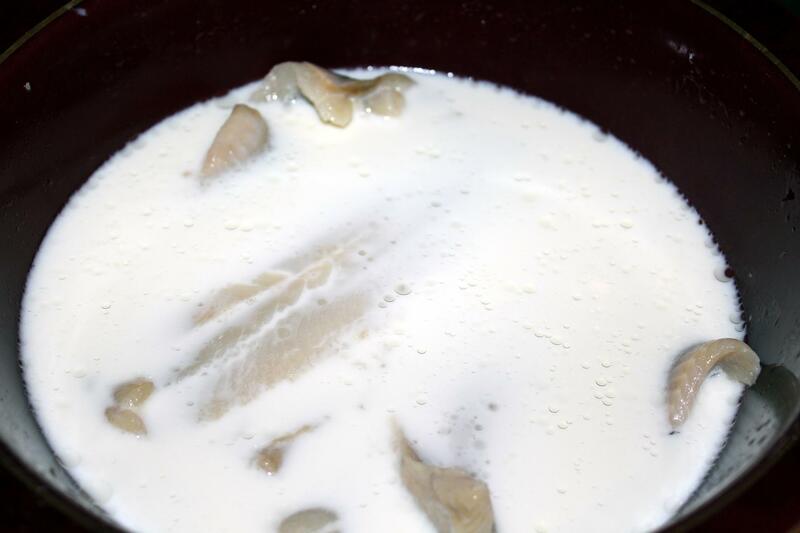 Place into a medium bowl and put cold milk to cover herring fillets. 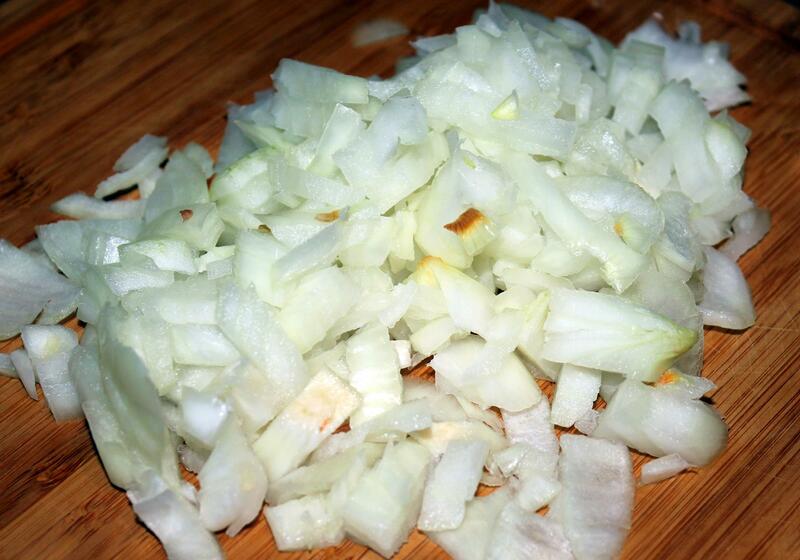 Leave in a refrigerator, every 2 hours rinse and put fresh cold milk again. 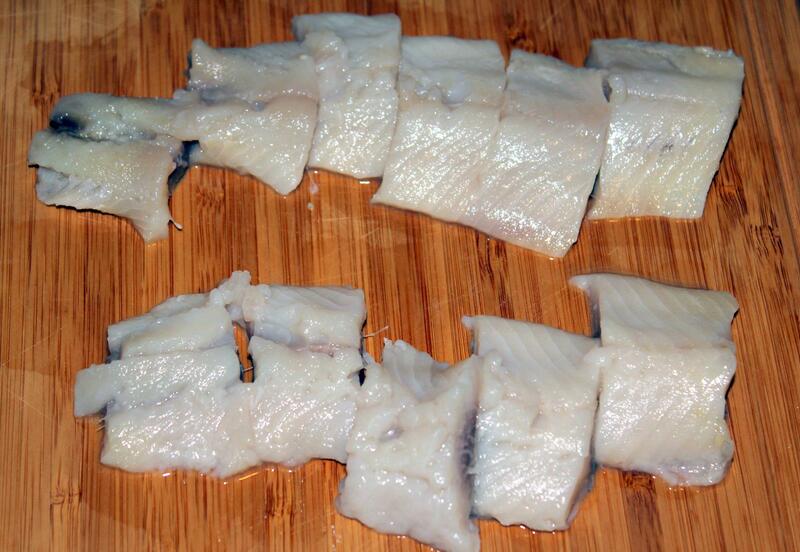 After 4-6 hours (depends on how herring is salted, we need a slightly salty) rinse under cold water and wipe with a paper towel. 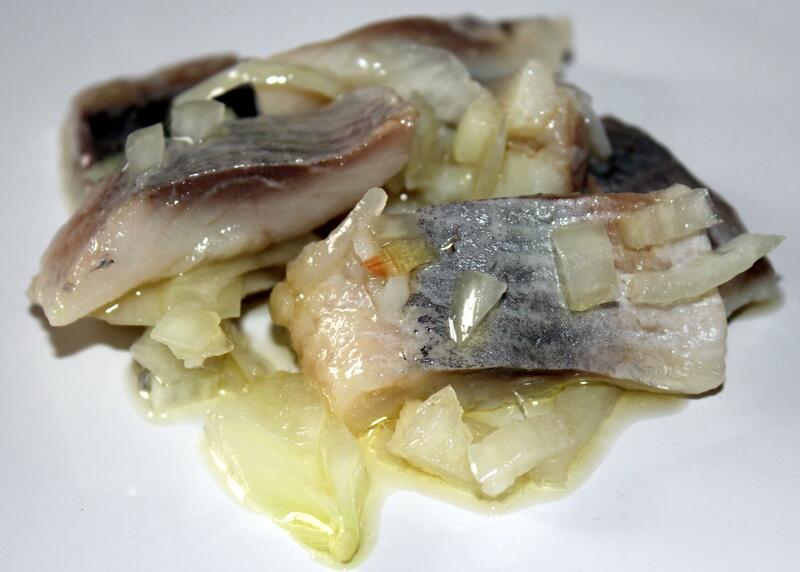 Cut herring fillets crosswise into 3/4-inch pieces and put into a jar together with chopped onion and species, then pour oil over herring to cover them. 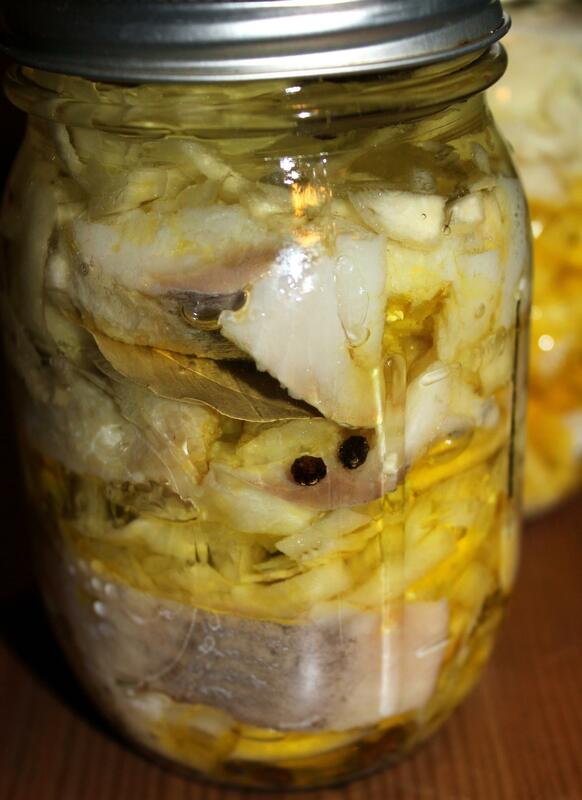 Turn off the jar and let them sit in the refrigerator about 24 hours. 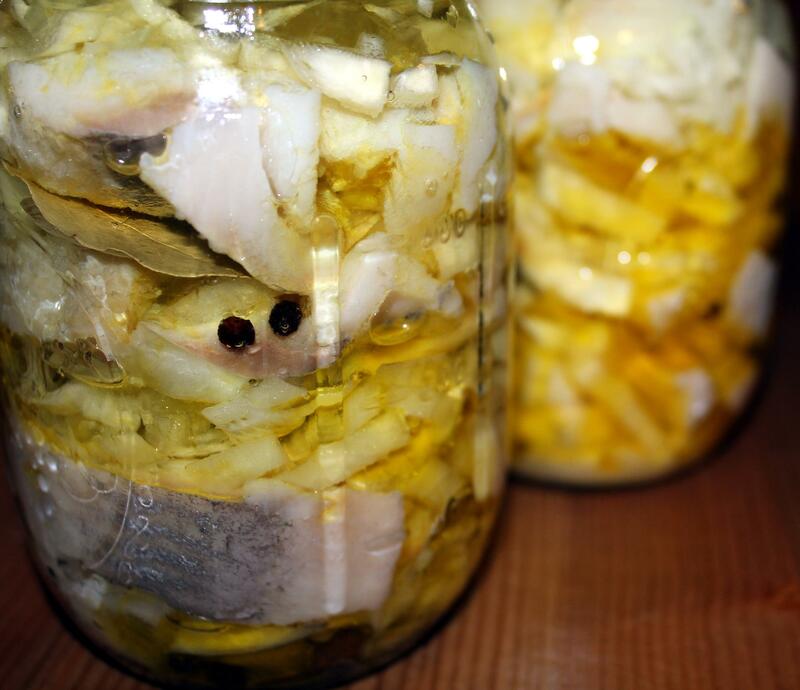 You can keep our herring in the refrigerator up to several days.